Leon County Jails, Centerville Texas. Three jails now stand on the courthouse square. Two are vintage. 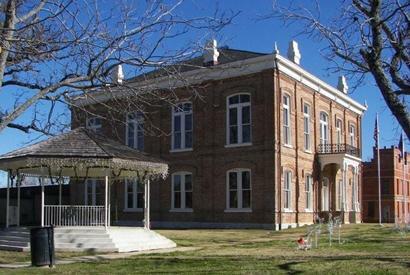 The one built in 1887 originally matched the former courthouse. The second was built in 1913. The other two (1974 and 1994) are less interesting from an architectural viewpoint. 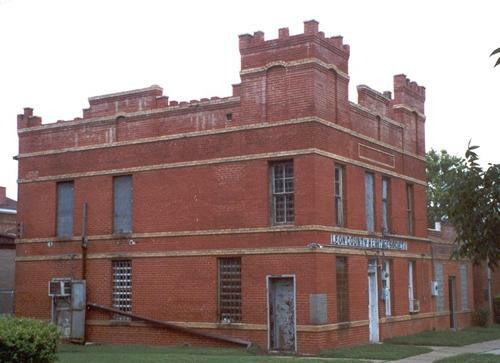 The 1913 Leon County jail. 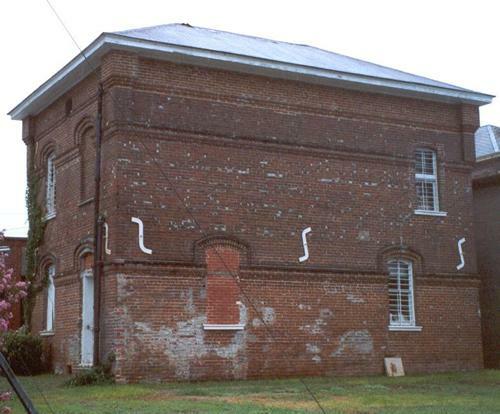 The 1887 Leon County jail. The 1886 Leon County Courthouse the old 1913 county jail."